Very convenient location of the hostel, in the heart of the old town, polite staff, clean, warm and tidy rooms. The location is perfect. Bang in the heart of the city. The hosts were extremely welcoming. Place of residence was clean, tidy, spacious and comfortable. Breakfast was healthy, filling and well served. The host was very helpful. It was very easy to communicate via SMS and to collect the keys. The apartment is amazing! It's huge and just around the corner from the main square. The location is the best you can possibly have! Amazing couple can to pick us from the Harbour at 10 euro at 11:30 pm. Which was good other wise we would be simply searching that place at night. In the old town. Microwave, stove, cutlery, kettle! Comfortable beds. Clean and spacious apartment at a superb location. Very good value for the price. Nice big room, large bed and pleasant people. Breakfast was tasty and more than we could eat. Good location. Convenient. Friendly staff. Good breakfast. Washing machine. Lock in a great price for Romeo Family Apartments – rated 9.2 by recent guests! 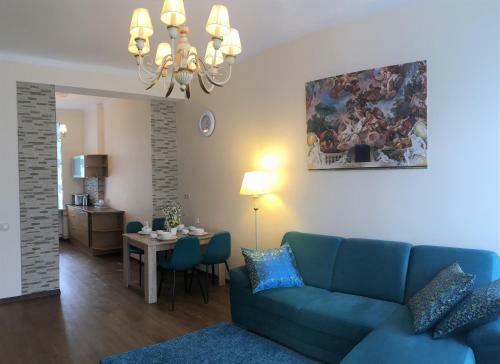 One of our top picks in Tallinn.Located in Tallinn’s Old Town, Romeo Family Apartments offers rooms and apartments with a TV set with satellite channels, a private bathroom with either a bathtub or a shower and free Wi-Fi. The accommodations at Romeo Family Apartments features bright walls in pastel colors and wooden floors. 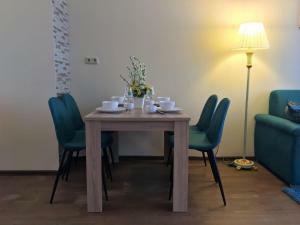 All apartments have a dining area and washing machine and kitchen with a refrigerator and microwave. The Romeo's rooms and apartments are located in different places on the Old Town, and some are at Suur Karja street. As such, the most significant landmarks such as Kiek in de Kök and the Town Hall on Raekoja Plats are within walking distance. There are also many shops, theaters and restaurants in the area. 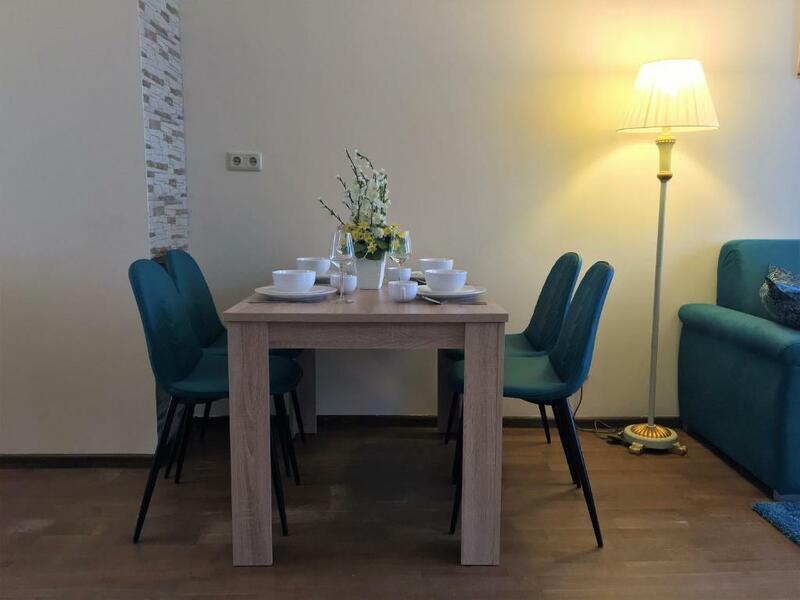 뀐 Located in the real heart of Tallinn, this property has an excellent location score of 9.7! 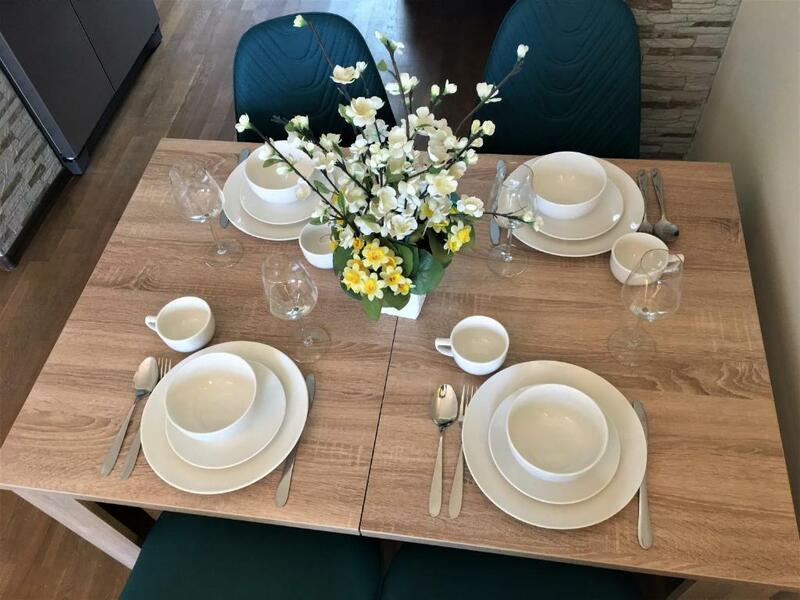 When would you like to stay at Romeo Family Apartments? Location: Suur Karja street 18, Kaarli puiestee 8 or Rüütli 13. Please note that not all apartments are served by an elevator. Spacious apartment with 2 separate bedrooms and a private bathroom with a washing machine. Please note that there is no elevator. This double room has a cable TV and seating area. The private bathroom is located outside the room. This suite features a kitchenette, electric kettle and toaster. This suite features a seating area, oven and electric kettle. This apartment is located on the 4th floor in a building without elevator. It features views of the Old Town's rooftops. This apartment has a microwave, dining area and electric kettle. A French balcony is featured. The apartment is located on Niguliste 2, 2 floor. The apartment is located on Vene Street 4, 4th floor. 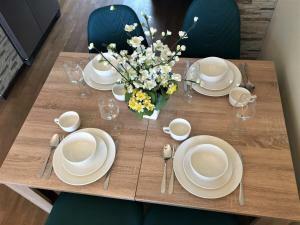 House Rules Romeo Family Apartments takes special requests – add in the next step! Romeo Family Apartments accepts these cards and reserves the right to temporarily hold an amount prior to arrival. Please note that late check-in is available upon request for an additional EUR 20, including transfer service. Please note that not all units of this property feature an elevator. Please note that breakfast supplies are brought to the apartments the previous evening. Guests are kindly requested to inform the property in advance of the flight/ bus number or the name of the ferry and the arrival time. It’s basic but does the job - can’t beat the location. The location is AMAZING! 2 mins walk from the main square and 10 mins walk from anywhere you want to go in old town and surrounds. The staff are lovely, available on WhatsApp to help. The only problem may be for light sleepers as people tend to gather in the square near the property in the early hours. Easy to get to on tram from airport. 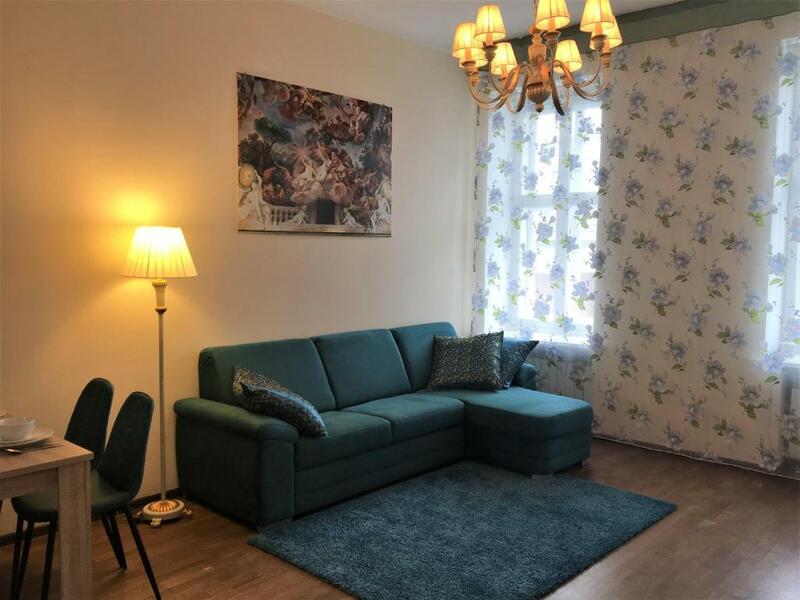 Excellent value for money, close to the centre of the old town. Convenient for bars and restaurants. The location of our room was directly next to the breakfast area and the walls were quite thin. A minor inconvenience that wouldn't stop us from returning though. We really enjoyed our stay here, it is great value for the price. The location of our apartment was just PERFECT. We were in the old town and within a 5 minute walk to the main square. We stayed in the budget room and found the bed very comfortable and the amenities, including wifi, quite good. Breakfast was filling and just what we needed to start the day. The staff were lovely and accommodated all of our requests. We really appreciated that they left a little handwritten note on our door reminding us that it was daylight savings that evening. A wonderful place to be. I really enjoyed my time there. Highly recommend it. the breakfast was more than sufficient but would have preferred the eggs to hot. The pick up from the airport was exc. the staff so welcoming and friendly & could not have been more helpful in taking us back to the airport. Thank you all for making our week so enjoyable. J & M McLoughlin Scotland. The checkout time is at 11:00 and check in is at 15:00, so there were technically four hours to clean the apartment, but the cleaning was done poorly: the sofa was full of previous guests hair, dust on the floor and the kitchen surfaces looked like were not cleaned at all. Great value for money, perfect location, walking distance to everything, a lot of good bars and restaurants nearby. Reception in the same house so you can leave your bags before check in and after checkout. The apartment itself was very spacious and well planned, full equipped kitchen, microwave oven, bed and linen were good. A little more atmospheric lighting. Nice and decent appartment on a great location, wont get any better than this. Position was great for us as tourists here - right in the old town, and able to walk to the ferry. We took the tram to and from the airport. Had read reviews about the nearby night club & noise - there was only a bit of conversational & laughter noise on Saturday night for a short period as some youngsters queued to get in. It was not at all a problem. Outside the entrance is a beautiful old square - it generally is almost completely silent.